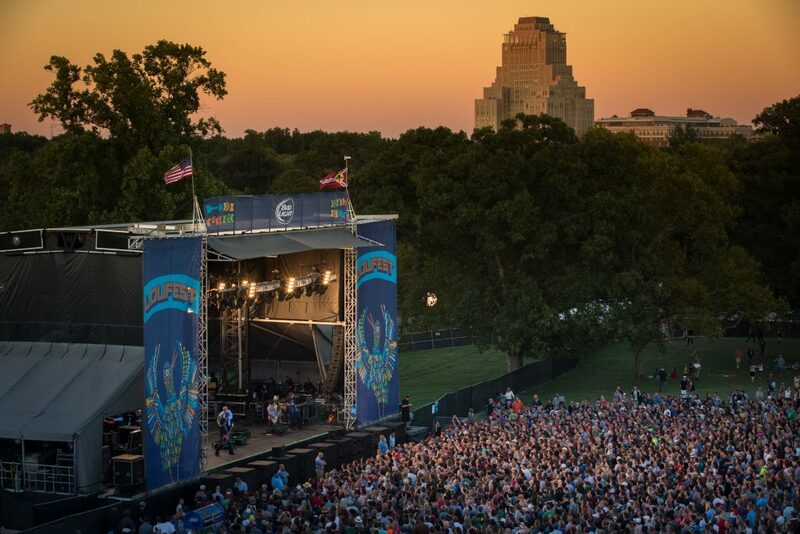 Metro makes it easy to enjoy music, fun and a beautiful outdoor setting as LouFest returns to Forest Park on September 10 and September 11. For just $3, music lovers can ride special LouFest shuttles from the Forest Park-DeBaliviere MetroLink Station directly to the LouFest grounds at the Central Fields in Forest Park, and join in all of the excitement of the two-day music festival quickly and conveniently. Metro is partnering with Listen Live Entertainment to offer the special bus shuttles to this year’s LouFest music festival. To take advantage of the special shuttles, concert-goers can park at any one of 21 free Metro Park-Ride lots in Missouri and Illinois and ride MetroLink to the Forest Park-DeBaliviere MetroLink Station, or ride the #1 Gold or #90 Hampton MetroBus routes to reach the station. The LouFest Shuttle pick-up and drop-off area will be located near the Forest Park-DeBaliviere Station on the west side of DeBaliviere Avenue. Shuttles will provide service on Saturday, September 10, and Sunday, September 11, from 11 a.m. to approximately 11 p.m. or until the crowds clear each night as concert-goers head home from LouFest. The round-trip tickets for the LouFest shuttle are only available for purchase at the Forest Park-DeBaliviere MetroLink Station on both days of the event. Shuttle tickets are not available for purchase in Forest Park. Regular Metro tickets and passes are not valid on the LouFest Shuttle, and LouFest Shuttle tickets are not valid for regular MetroBus or MetroLink service. To plan your trip on Metro to LouFest, download the Metro On The Go App to your mobile device, use the Trip Planner on metrostlouis.org or contact Metro Transit Information at 314-231-2345 or 618-271-2345, from 7:30 a.m. to 4:30 p.m. Monday through Friday.